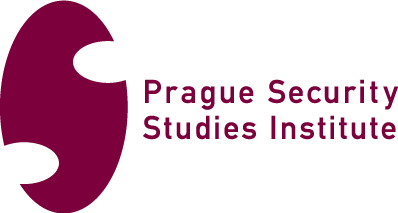 On June 9—11, 2019, the Prague Security Studies Institute (PSSI) will convene in Prague the fifth event in its Space Security Conference series. It will focus on the rapidly advancing threats to space operations and the role of space partnerships in addressing – and, hopefully, mitigating – this higher risk environment. It will examine the issue of space hybrid operations that span an increasing number of areas (including the commercial space sector), as well as the non-democratic model of space partnerships. Previous PSSI Space Security Conferences were held in Prague (in 2011 and 2016), Tokyo (in 2013) and Washington, DC (in 2017), co-organized with the European Space Agency’s European Space Policy Institute (ESPI), the Office of National Space Policy of the Japanese Prime Minister’s Cabinet Office, the Secure World Foundation (SWF) and the Center for Strategic and International Studies (CSIS). International Space Partnerships: Competition or Collaboration? Lt. Gen. David D. Thompson is Vice Commander, Air Force Space Command, Washington, D.C. 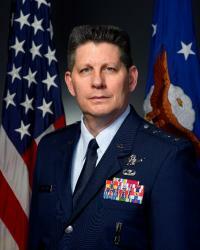 He is responsible to the commander of Air Force Space Command in carrying out Air Force space missions and integrating space policy, guidance, coordination and synchronization of space-related activities, and issue resolution for Air Force Space Command and the Department of the Air Force. General Thompson was commissioned in 1985 as a graduate of the U.S. Air Force Academy. He is a career space officer with assignments in operations, acquisition, research and development, and academia. He has commanded operational space units at the squadron, group and wing levels. The general is also an Olmsted Scholar, graduate of the Senior Acquisition Course and Level III-Certified Program Manager. Prior to his assignment as Vice Commander, General Thompson was the Special Assistant to the Commander, Air Force Space Command, Peterson Air Force Base, Colorado. Prof. Dr. Kai-Uwe Schrogl is Chief Strategy Officer of the European Space Agency (ESA). From 2007 to 2011 he was Director of the European Space Policy Institute (ESPI) in Vienna, Austria, the leading European think tank for space policy. Previously, he was the Head of the Corporate Development and External Relations Department in the German Aerospace Center (DLR) in Cologne, Germany. He also worked with the German Ministry for Post and Telecommunications and the German Space Agency (DARA) in Bonn, Germany. He has been a delegate to numerous international fora and served from 2014 to 2016 as Chairman of the Legal Subcommittee of the United Nations Committee on the Peaceful Uses of Outer Space, the highest body for space law-making, comprising 73 Member States. He is President of the International Institute of Space Law (IISL), a professional association of space law experts from 48 countries, a member of the International Academy of Astronautics and the Russian Academy for Cosmonautics as well as Corresponding Member of the French Air and Space Academy. 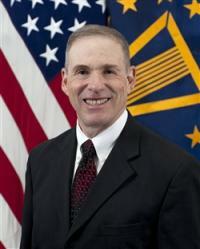 Mr. Douglas Loverro is a highly regarded senior DoD space thinker and leader. During his 30 years on active duty, he led multiple programs within DoD and the NRO including the AF’s GPS program, NRO’s Future Imagery Program, and all AF Space Control programs. He also served over 10 years as a DoD civilian in positions such as the Deputy for System Engineering at the NRO, Executive Director for the AF’s Space and Missile System Center as well as the Deputy PEO for Space, and most recently, as DoD’s Deputy Assistant Secretary of Defense for Space Policy. He left the government in 2017 after almost 45 years of service. He holds a Master’s Degrees in Physics from the University of New Mexico, a Master’s of Political Science from Auburn University, and an MBA from the University of West Florida in addition to his BS in Chemistry from the US Air Force Academy. He was a distinguished graduate from the Air Force’s Air Command and Staff College and Squadron Officer School, and was the top graduate from DoD’s Industrial College of the Armed Forces. He is the recipient of multiple prestigious awards including the Secretary of Defense’s Medal for Outstanding Public Service, AIAA’s Durand Lecture for Public Service, the National Defense Industrial Association's (NDIA) Bob Hope Distinguished Citizen Award, the Lifetime Achievement Award from the Federation of Galaxy Explorers, the Society of Satellite Professional Engineers Stellar Award, and the Armed Forces Communicants and Electronics Association's (AFCEA) Benjamin Oliver Gold Medal for Engineering amongst many other civilian and military honors. 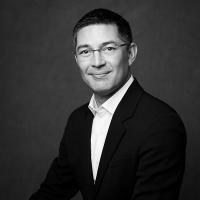 Senior Director, European Affairs, Planet Labs, Inc.
Dr Pascal Faucher is graduated (1997) from the Ecole Nationale Supérieure de l'Aéronautique et de l'Espace (SUPAERO). He also holds a Master’s Degree (1998) and a Ph. D. in Physical Oceanography (2001) by the University Paul Sabatier, financed by the Ministry of Defence, and an Executive Master of Business Administration (2007) by ESCP Europe. After a post-doctoral position in the EU project “Marine Environment and Security for the European Area”, his experience includes 17 years of various positions at CNES headquarters as international relations adviser and programme manager. For the last 8 years, in the defence and security office, he is responsible for the following themes: space security, space situational awareness (SST, SWE, NEO) and space debris. 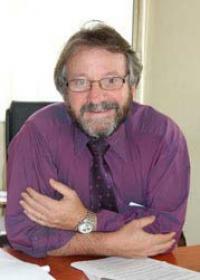 He is currently the Chairman of the Steering Committee of the EU SST Consortium. He also acts as a French delegate to the Programme Board SSA of ESA, the Steering Group of the Inter-Agency Space Debris Coordination Committee (IADC), the Steering Committee of the Space Mission Planning Advisory Group (SMPAG), the United Nations Committee on the Peaceful Uses of Outer Space (COPUOS), actively participating to the Working Group on the Long Term Sustainability of Outer Space Activities (WG LTS). In France, he is responsible for the National Coordination Group on Space Weather (GCME). He is a member of the French Steering Group on Unidentified Aerospace Phenomena (GEIPAN). Ms. Victoria Samson is the Washington Office Director for the Secure World Foundation and has twenty years of experience in military space and security issues. Regina Peldszus is a senior policy officer with DLR Space Administration, Department of Space Situational Awareness. She leads the German delegation to the Consortium implementing the European Space Surveillance & Tracking (SST) Support Framework for the European Commission, serves as Co-Chair of its Steering Committee, and handles studies at the intersection of space policy, foresight, security, and infrastructure. From 2013 to 2015 Regina was an Internal Research Fellow with ESA’s European Space Operations Centre (ESOC), Studies & Special Projects Division, focusing on resilience during critical mission phases such as LEOP. Prior to this, she contributed to various future systems and safety projects, including at ESA’s Astronaut Training Division, Special Skills & Exploration Unit. Regina holds a Ph.D. from Kingston University, London, on human systems integration and analogues for crewed exploration mission scenarios. Her interests include governance and dual use in complex systems and high reliability domains, including polar and nuclear. She is a member of the AIAA; the IFIP Working Group on Resilience, Reliability, Safety and Human Error in System Development; and the ESA/ CNES/ DLR committee for Human Dependability. 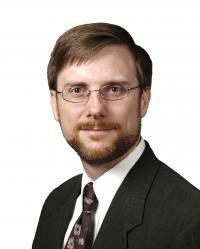 Travis Langster is vice president for AGI’s Space Situational Awareness Business Unit. In this role, Mr. Langster is responsible for strategy and business execution in delivering commercial space situational awareness solutions to commercial, civil and military organizations worldwide. Mr. Langster has more than 20 years professional experience in military and commercial satellite planning and operations, support to defense and intelligence operations, strategic planning, technical management, and systems engineering. Mr. Langster began his aerospace career in 1992 as an engineer with General Electric Aerospace, where he focused on the launch and on-orbit operations of Air Force satellite systems. From 1994–1996, he was a systems engineer with Lockheed Martin Astro Space. During this time, he performed engineering analysis on satellite subsystems and payloads, mission planning and orbit analysis software tools. Mr. Langster is a member of several industry associations and a Board Member of Future Space Leaders and Boys & Girls Club of America (Prince George’s Co). Mr. Langster earned a B.S. in aeronautical and astronautical engineering with a minor in mathematics from Purdue University. 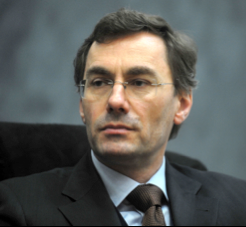 Since June 1, 2016 Jean-Jacques Tortora serves as the Director of the European Space Policy Institute. From 2007 to mid 2016 he was the Secretary General of ASD-Eurospace, which is the trade association of the European Space Industry. From 2004 to mid 2007, he was head of the French Space Agency (CNES) office in North America and the Attaché for Space and Aeronautics at the Embassy of France in Washington, D.C. Previously he was Deputy Director for Strategy and Programs, responsible for the Industrial Strategy of CNES, the French Space Agency. From 1998 to 2000, Mr. Tortora was adviser to the French Ministry of Research for Industrial Policy Funds management. From 1996 to 1998, he was appointed by Arianespace in Evry, France. From 1990 to 1996, Mr. Tortora was based in Kourou, French Guiana, as Head of Arianespace Operations Quality Department. Mr. Tortora started his career in 1984 at the French military procurement agency, DGA, as a naval weapons integration and test engineer, expert in signal processing and warships acoustic discretion. 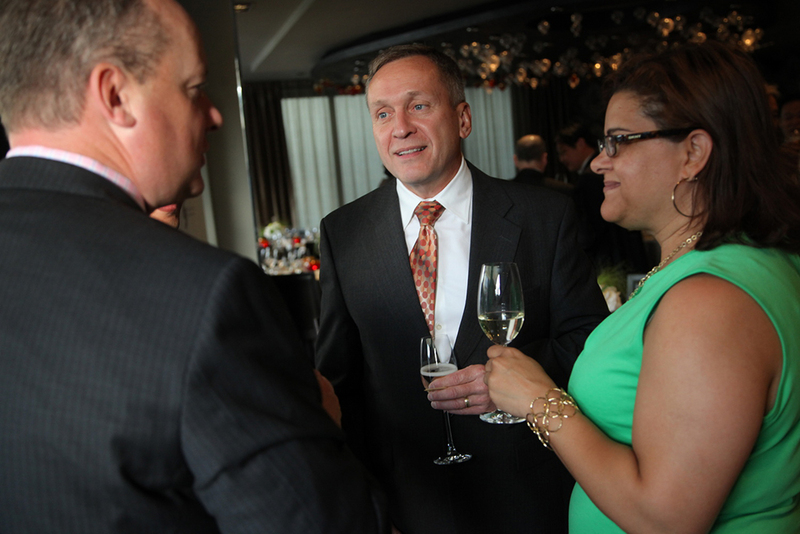 Jamie Morin is vice president of Defense Systems Operations, Defense Systems Group. He assumed this position in March 2017. In this role, Morin also serves as executive director of the Center for Space Policy and Strategy, which provides objective analysis to ensure well-informed and forward-looking space policy. Prior to joining Aerospace, Jamie served as director of Cost Assessment and Program Evaluation (CAPE) for the Department of Defense, where he led the Department’s premier analytical organization, responsible for evaluating plans, acquisition programs, and budgets in relation to U.S. defense objectives, threats, estimated costs, and resource constraints. Prior to his confirmation as CAPE director, Morin served for five years as the assistant secretary of the Air Force for financial management, overseeing an annual budget of more than $110 billion. Jamie also served for nearly a year as acting under secretary of the Air Force, where he was the Air Force’s Chief Management Officer, led the Air Force Space Board and Air Force Council, and guided Air Force implementation of new defense strategic guidance under the constraints of the Budget Control Act. Previously, Morin was a member of the professional staff of the U.S. Senate Committee on the Budget, serving as the committee's lead analyst for the defense, intelligence, and foreign affairs budgets. He also served in the Office of the Under Secretary of Defense for Policy and as an economist and strategist with the firm J.E. Austin Associates. Dr. John B. Sheldon is the Chairman and President of ThorGroup GmbH, a Swiss-headquartered publisher and consultancy group specialising in strategic space and cyberspace issues. ThorGroup GmbH is the publisher of SpaceWatch.Global. Dr. Sheldon formerly served in the British Diplomatic Service and was a faculty member at the School of Advanced Air & Space Studies (SAASS) at Maxwell AFB, Alabama. He currently resides in the UAE where he is a strategic advisor. 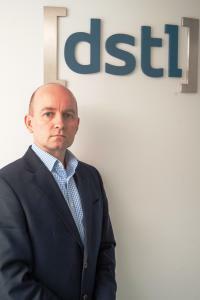 Nicholas Taylor is a Senior Principal in the Defence & Security Analysis Division of Dstl, where he leads research on deterrence and other strategic effects such as coercion and reassurance. Beginning with a review and refresh of UK conceptual and theoretical understanding of deterrence, the work then progressed to the development of methods for deterrence planning. Since then, he has led the application of these methods in developing tailored deterrence strategies for a range of HMG strategy and policy challenges. Nicholas’ work has included support to the UK Delegation to NATO and the Alliance’s International Staff, and he is making a leading contribution to NATO work on deterrence and assurance. In addition, in 2016, Nicholas launched the UK Deterrence and Assurance Academic Alliance, aiming to stimulate research and teaching on deterrence and related topics in UK universities. Nicholas continues to lead deterrence studies at Dstl, with current focus on improving understanding of other actors and their decision-making. Prior to joining Dstl, Nicholas worked as a consultant on a wide range of defence projects in support of UK MoD. His career began with a commission in the Royal Air Force (RAF) as a Fighter Controller following completion of an undergraduate degree in International Relations and Strategic Studies at Lancaster University. While on assignment to the U.S. Department of State as senior adviser to the undersecretary of State for political affairs, he was intimately involved in negotiating the civil nuclear agreement with India. Previously he was commissioned into the Foreign Service and served as senior adviser to the ambassador at the U.S. Embassy in New Delhi. He also served on the National Security Council staff as special assistant to President George W. Bush and senior director for strategic planning and Southwest Asia. 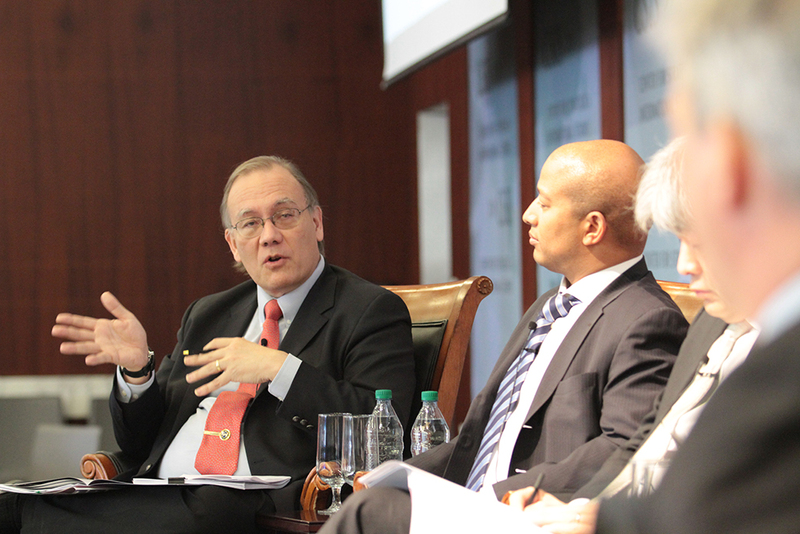 Prior to his government service, Tellis was senior policy analyst at the RAND Corporation and professor of policy analysis at the RAND Graduate School. He is a counselor at the National Bureau of Asian Research, the Research Director of its Strategic Asia program and co-editor of the program’s fifteen most recent annual volumes, including this year’s Strategic Asia 2019: China’s Expanding Strategic Ambitions. He is the author of India’s Emerging Nuclear Posture (2001) and co-author of Interpreting China’s Grand Strategy: Past, Present, and Future (2000). In addition to numerous Carnegie and RAND reports, his academic publications have appeared in many edited volumes and journals. 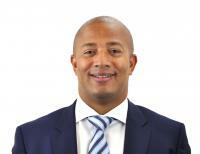 Tellis serves on the Chief of Naval Operations Executive Panel. He is a member of several professional organizations related to defense and international studies including the Council on Foreign Relations, the International Institute of Strategic Studies, the United States Naval Institute, and the Navy League of the United States. He earned his PhD in political science from the University of Chicago. He also holds an MA in political science from the University of Chicago and both BA and MA degrees in economics from the University of Bombay. Bhavya Lal leads strategy, technology assessment, and policy studies and analyses at the IDA Science and Technology Policy Institute (STPI) for the White House Office of Science and Technology Policy (OSTP), the National Space Council, and Federal space-oriented organizations including NASA, the Department of Defense and the Intelligence Community. She has applied her expertise in engineering systems and innovation theory and practice to topics in space, with particular focus on commercial activities, especially related to space nuclear power, on-orbit servicing assembly and manufacturing, small satellites, human exploration, and space science. She is currently serving on a National Academy of Science (NAS) committee on assessing the relative merits of infrared vs. visual observations by a space-based telescope to detect and characterize near Earth objects. She recently co-chaired a NAS Committee on the State of U.S. Electronic Parts Radiation Testing Infrastructure for Space Applications, and was previously vice-chair of the NAS committee on Achieving Science Goals with CubeSats, and member of the committee on 3D Printing in Space. She is serving a second term on the NOAA Advisory Committee on Commercial Remote Sensing (ACCRES), and participated on the UN Committee on Space Research (COSPAR) to develop an international scientific roadmap for small satellites. She co-organizes a seminar series on space history and policy with the Smithsonian National Air and Space Museum. 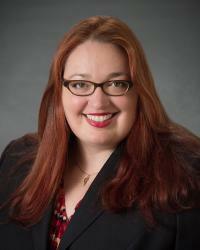 She co-founded and is co-chair of the policy track of the annual conference of space nuclear power. 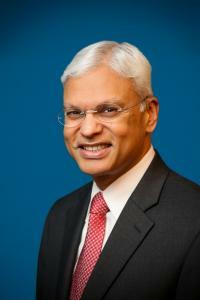 Before joining STPI, Dr. Lal was president of C-STPS LLC, a science and technology policy research and consulting firm. Prior to that, she was the Director of the Center for Science and Technology Policy Studies at Abt Associates. Dr. Lal holds B.S. and M.S. degrees in nuclear engineering from the Massachusetts Institute of Technology (MIT), a second M.S. from MIT’s Technology and Policy Program, and a Ph.D. in Public Policy and Public Administration from George Washington University. 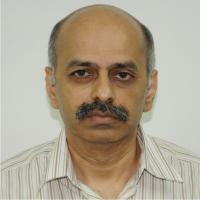 Dr Ajey Lele, is currently working as a Senior Fellow at the Institute for Defence Studies and Analyses (IDSA), New Delhi. He started his professional career as an Indian Air Force Officer and took early retirement from the services to peruse his academic interests. His specific areas of research Space Security and Strategic Technologies. He has various publications against his name and his important book publications include Strategic Technologies for the Military (Sage, 2008) and Asian Space Race: Rhetoric or Reality (Springer, 2013). Disruptive Technologies for the Militaries and Security (Springer, 2019). 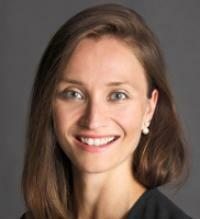 Dr. Martina Šmuclerová is a Senior Fellow at PSSI. As an international legal expert and university lecturer, she provides counsel in Public International Law, with an emphasis on Space Law and Law of International Security. Compendium. 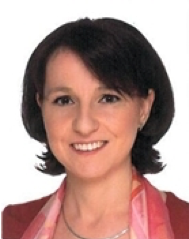 Dr. Šmuclerová is a Senior Lecturer at Institut d’études politiques de Paris (SciencesPO) and teaches various courses in Public International Law, including Space law in collaboration with ESA. National Space Council’s Dr. Scott Pace and AGI’s Travis Langster during a panel discussion at the March 2017 PSSI Space Security Conference. General Robert C. Kehler addressing gala dinner guests at the 2016 PSSI Space Security Conference in Prague. 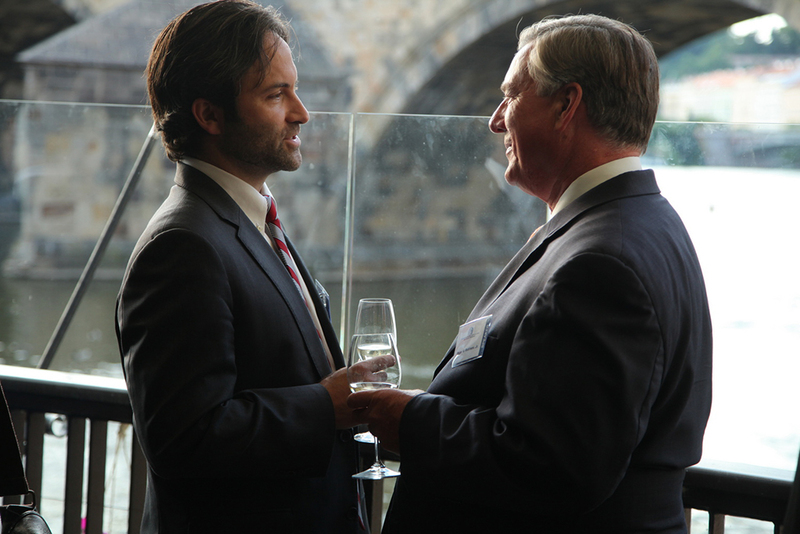 Andrew Davenport, Deputy Executive Director of PSSI Washington and Roger W. Robinson Jr., Chairman and Co-Founder of PSSI Prague at the 2016 Space Security Conference gala dinner. 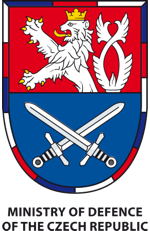 Lt.Gen. David J. Buck, Commander, 14th Air Force (Air Forces Strategic), Air Force Space Command, at the 2016 Space Security Conference gala dinner. 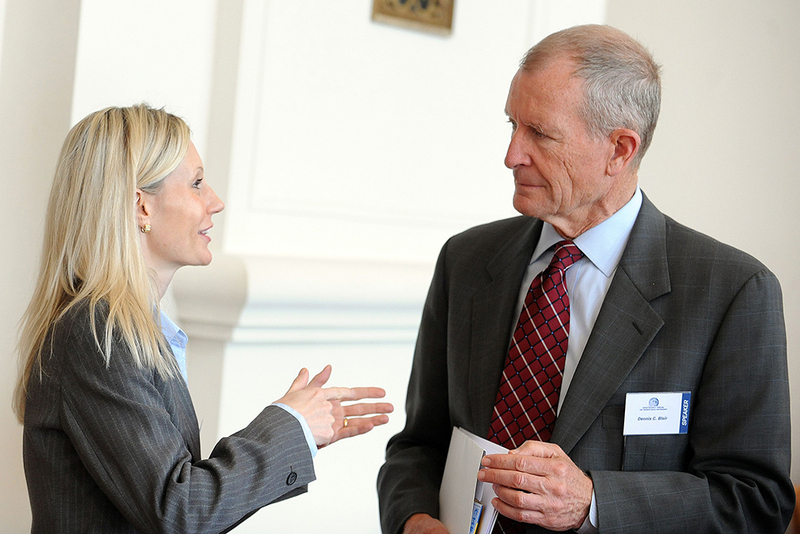 PSSI’s Space Security Program Director Dr. Jana Robinson Director and Adm. Dennis Blair during the 2011 Space Security Conference. Kai-Uwe Schrogl, ESA, Oldrich Cerny, PSSI, and Jiri Schneider, then 1st Deputy Foreign Minister at the 2011 Space Security Conference. Since 2011, PSSI has organized the premiere NGO conference series worldwide on the subject of space security. 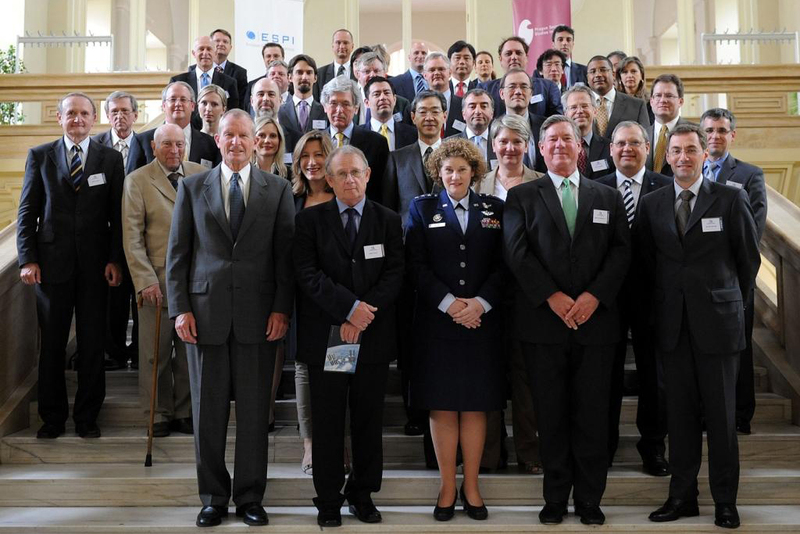 Four such international conferences have been convened to date, involving leading space policy-makers, academic experts, senior military officers distinguished NGO representatives and private sector operators from Europe, the U.S. and Japan. 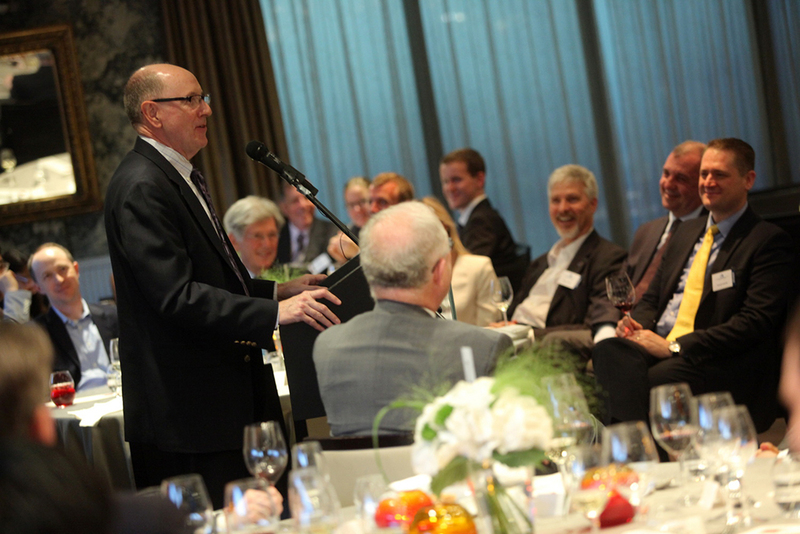 Two of these gatherings were held in Prague, one in Tokyo, and one in Washington, DC. The key partnering organizations included ESA’s European Space Policy Institute, the Japanese Prime Minister’s Office of National Space Policy, the Secure World Foundation, and the Center for Strategic and International Studies. PSSI, in partnership with its affiliate organization PSSI Washington, is presently preparing its fifth conference in this series. The event will be held on June 9—11, 2019 in Prague. We are confident it will prove a special opportunity for companies seeking a higher profile in the space community. We would like to invite you to attend, and help sponsor, this established conference series. 2017 Space Security Conference in Washington, D.C.